Meet Ziggy, Ripple’s Chief Operating Officer! 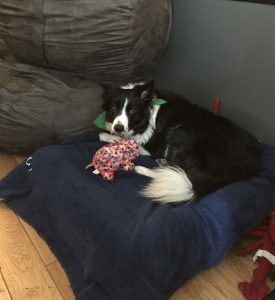 Ziggy is a 6-year-old border collie who resides in New York City. Her interests include treats, fetch, and attention. Her pet peeves are other dogs and people who knock on the door. Here at Ripple, Ziggy’s duties include increasing productivity and maintaining employee morale. Something that makes Ziggy excited about where Ripple is headed is opportunities for future treats.